Elaine Quilichini is recognized internationally for her exceptional musicianship, distinguished work and extraordinary gift for inspiring others. As a Master of Music (Kodály), she has served as a clinician, lecturer, adjudicator and guest conductor across Canada, the United States, Australia, Japan, Argentina, and the Canary Islands. In 1995, Ms. Quilichini founded the Calgary Girls Choir, and with her vision and passion has built it into one of the most celebrated choirs in the world. In addition, she is the Artistic Director of summer choral programs at Wichita State and Nebraska Wesleyan Universities. A notable indication of Ms.Quilichini’s stature in the choral community is her successful choral series published by Alliance Music. 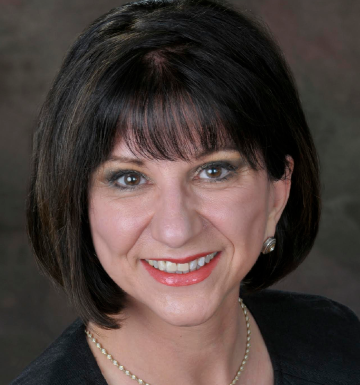 A Master of Music in Kodály methodology has provided a strong philosophical and pedagogical base for Ms.Quilichini’s work in music education and choral development. She built successful choirs at Mount Royal Conservatory and conducted the University of Calgary Women’s Choir for ten years. Her students have achieved great success as music educators, conductors and professional singers. She is the recipient of the Alberta Choral Federation’s ‘con spirito’ award for her contributions to the choral arts and the global Television Woman of Vision award. These awards celebrate the passion, talent and commitment she embodies, and are a fitting recognition of Ms. Quilichini’ achievements. This year, Ms.Quilichini will conduct the massed treble choir at Calgary’s Big Sing in November and lead all-state children’s and High School Honour choirs in the US. Claire is from the North-East of England and studied piano performance at the Royal College of Music, London with professors John Barstow and Bernard Roberts. After graduating, Claire taught in music schools and continued performing in England before taking a position at the Bermuda School of Music. 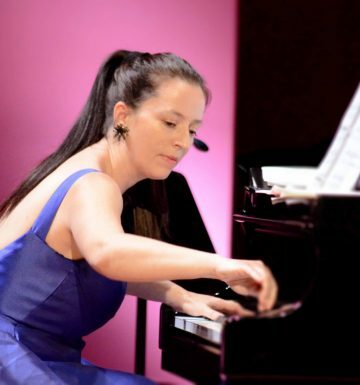 An experienced soloist and accompanist, Claire has performed concertos with orchestras in the UK and collaborated with many talented musicians. Now a resident of Calgary, Claire is music director of Silver Stars Musical Revue Society and St Andrew’s Anglican Church. 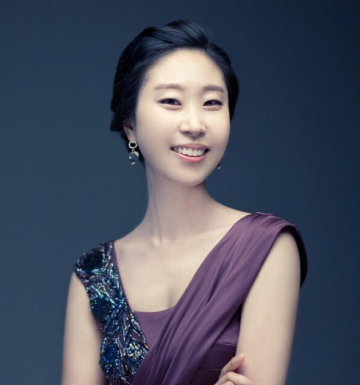 Dr. Minsung Pyo received her Doctoral degree in Piano Performance at Michigan State University in 2011. She has obtained her Bachelor of Music and Master of Music degrees in Piano Performance at Ewha Women’s University in Seoul, Korea. She received numerous scholarships while at University and performed as a soloist at renowned concert halls like Sejong Cultural Centre and Seoul Arts Centre in Korea. She is an educator and an invited judicator of competitions. Dr. Pyo has taught at WonKwang University, Sunhwa Arts School and Gyewon Arts School in Korea. In addition, she was invited as a judicator to many competitions including Incheon Student Music Festival and Wonkwang University National Student Music Competition.